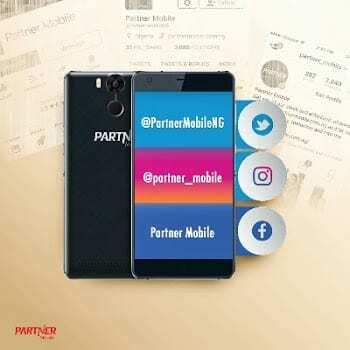 Not too long back, Partner Mobile announced its entry into the Nigerian market. They have graced this market with the release of certain smartphones. Some of these include the PS1, PS2, KS1, E15 and a lot more. Well, another one is here, and it is a continuation of the PS series – the PS3. This device, or maybe Partner Mobile devices generally are known to have pretty large RAMs. This is of course a selling point. Also, its internal storage and camera are important specs you should watch out for here. Let’s take a ride. The PS3 device has a display size of 5.5-inch. The display resolution is set at 1920 x 1080 pixels. With it comes an IPS LCD Capacitive touchscreen accompanied with Corning Gorilla Glass 3. Well, big display lovers are targeted here. This display is just right for game freaks and movie addicts. It comes in Pink, Black and gold colors. The Partner Mobile PS3 device runs on a Deca-core Snapdragon 615 MSM8939 processor. The processor speed stands at 2.6 GHz. Its operating system is Android 7.1 nougat out of the box. For the numerous music, videos, documents and other files you might want you store, the device avails you with a storage size of 64 GB. This can be further expanded to another 64 GB with the use of a micro SD card. On its memory, it possesses a 4 GB RAM. this takes care of the smooth running of the device. The PS3 device has a fingerprint sensor too. This is also with a facial recognition ability. Behind the device is a dual 13 MP camera with autofocus and LED flash. The Video recording is at 1080p@30fps. On its own hand, the front-facing camera is pegged at 8 megapixels. Well, let me say that asides the duality, all thing about the camera are just fair. Supporting the Fast Charge feature is a non-removable Li-ion 3350 mAh Battery. This powerhouse is a bit tilted to serve the average smartphone users. Heavy users like me would likely go for something more “powerful”. Check below to check the price and availability of the Partner Mobile PS3 device.